This PDF 1.3 document has been generated by Nitro PDF Professional (6, 0, 0, 29), and has been sent on pdf-archive.com on 28/09/2017 at 08:46, from IP address 14.140.x.x. The current document download page has been viewed 128 times. File size: 2.1 MB (49 pages). Newton’s second law of motion, the net force acting on the rain drop is zero. first law of motion, no net force is acting on the kite. zero. 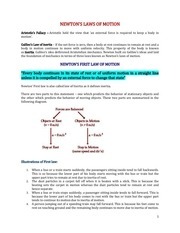 As per Newton’s second law of motion, no net force is acting on the car. the pebble was thrown at an angle of 45° with the horizontal direction? effect on the net force acting on the pebble. rest relative to the train. Neglect air resistance throughout. the stone in the horizontal direction. always acts vertically downward. The magnitude of this force is 1 N.
It is given that the train is accelerating at the rate of 1 m/s 2.
acceleration is provided by the horizontal motion of the train. with a speed of 15 ms–1. How long does the body take to stop? is the magnitude and direction of the force? acting on the body is in the direction of its motion. magnitude and direction of the acceleration of the body. force of magnitude 8 N.
the child. What is the average retarding force on the vehicle? The mass of the threewheeler is 400 kg and the mass of the driver is 65 kg. of 5.0 m s–2. Calculate the initial thrust (force) of the blast. 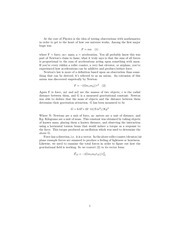 north is subject to a constant force of 8.0 N directed towards the south for 30 s.
to be x = 0, and predict its position at t = –5 s, 25 s, 100 s.
This file has been shared by a user of PDF Archive. Document ID: 00678907.